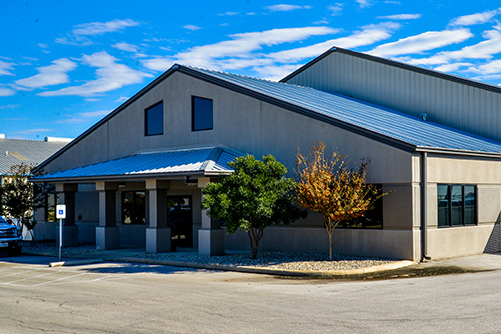 Since 1988, Vantage Pump and Compressor, Ltd. has become an industry-leading pump, compressor and process vacuum service provider in central and south Texas for high-quality, industrial equipment. We specialize in fluid pumps, air compressors, blowers and vacuum pumps and systems. In addition, we supply replacement parts and support products for a broad line of industrial and commercial products. With 25-plus years of experience, we continue to meet the needs of manufacturing, oil and gas, and healthcare industries. Our reputation as one of the best industrial pump companies has positioned us as an integral part of the industry network in Texas with clients such as Seaworld, CHRISTUS Santa Rosa Health System and Valero. Our experienced staff is the backbone of our company. Every service technician is factory-trained and receives continuous training to provide up-to-date maintenance and repairs on the various manufacturer products such as Gardner Denver, Grundfos, Goulds Xylem and FS Elliott. This ensures they’re prepared to solve any of your service needs with reliable solutions. This industry can be messy, which is why we’re proud that our technicians practice caution when completing a service request. At Vantage Pump, we offer both in-house and in-field service on your pumps, compressors and process vacuum pumps. We also have the capability to perform complete rebuilds of existing equipment, custom system fabrication, as well as all of your maintenance and preventive maintenance. We reduce downtime and improve efficiency with our excellent products, customer support, and maintenance services. At Vantage Pump, we’re confident you’ll receive top of the line products with the utmost professionalism. Contact our experts — discover how we can help your business.